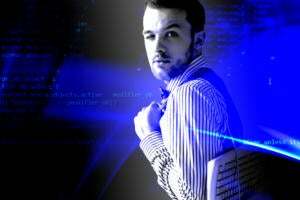 A wide variety of interesting products work with Amazon's personal assistant to provide news, information and other services. Amazon's Alexa voice service -- the cloud-based intelligent personal assistant -- is quickly being adopted by a wide range of third-party product manufacturers. Despite rumors of in-home privacy issues, a lot of consumers -- and businesses -- are adopting this service. As a result, Amazon is fostering an Alexa ecosystem that goes well beyond its three home appliances: Echo, Tap and Dot. From speakers that let you tell them what to play to an add-on that lets you ask your car how much gas it has (while you're still in your living room), these Alexa accessories show that as long as you have something to say, Alexa will be listening. How do you talk to Alexa without having an Echo, Tap or Dot device at home? 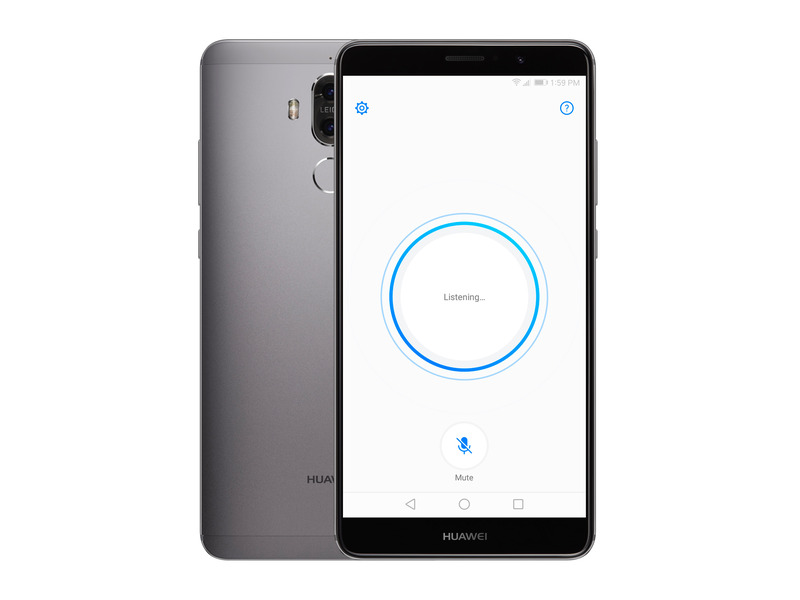 The latest software update to Huawei's Mate 9 smartphone has added a direct connection to Alexa's online personality. Just tap the screen's microphone icon and ask Alexa to tell you the weather, dim the lights or order something from Amazon. The 5.9-in. Mate 9 handset may be on the large side, but it is among the most capable phones around for listening to Alexa requests; the unlocked phone is compatible with carriers AT&T and Sprint. 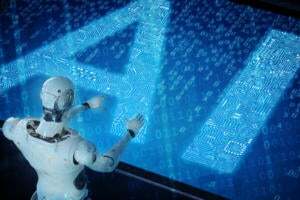 Currently, the phone can't handle every task in Alexa's repertoire -- such as the ability to set timers and alarms -- however, according to Huawei, the company's engineers are working on expanding the phone's abilities. The DOK Universal Charger is a multi-talented device that not only charges your phone or tablet, but listens for Alexa or Google Now commands or questions. Just press the microphone button in the front of the unit to get Alexa's digital attention. 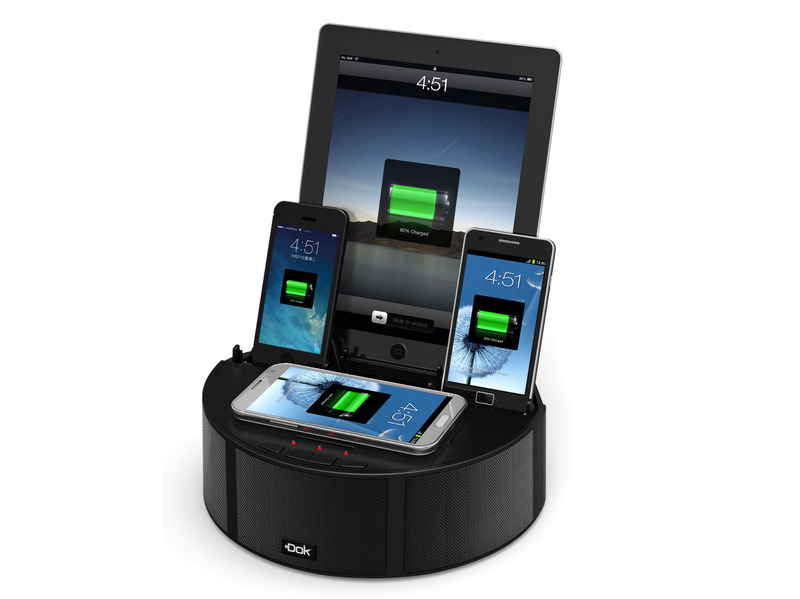 The tiered design is built to hold a variety of mobile devices, while five micro-USB power ports keep them charged. A pair of three-watt speakers have the power to fill a room with music or the latest news reports; the DOK also has a built-in FM radio for listening to your favorite broadcast stations. While a non-Alexa version is available now for $65 (Amazon price), the more talkative version is due out this summer. Sometimes, you just want to talk -- quickly and without dealing with dialing numbers or clicking on apps. The Nucleus is an intercom with an 8-in. display that allows business staff or family members to audio and/or video chat with each other -- and it also responds to Alexa commands. The display on the one-pound Nucleus has a 1280 x 800 resolution; the device also boasts a wide-angle video camera with a fixed focus lens and a single microphone. The unit's pair of speakers are good enough to fill a small or mid-sized room, according to the company. Nucleus can sit on a table or hang on a wall; it can connect to the internet via Wi-Fi or a hardwired Ethernet connection. 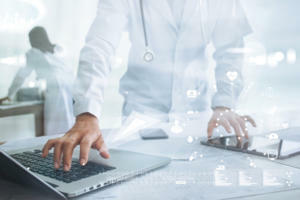 It can communicate with other Nucleus units or with the device's smartphone app, making it a good way to keep in touch even when you're out of the office or the house. By plugging the Automatic device into your car's On-Board Diagnostic (OBD-II) port, you can not only track what's going on inside the vehicle but have Alexa answer your automotive-related questions, whether you're in the car or not. It takes about a minute to install the small device, which works with almost any car made since 1996. Once it's set up, the Automatic module connects your car's electronics with your Alexa device at home, enabling you to ask Alexa -- from your living room -- how much gas remains in the tank and where your car is parked. 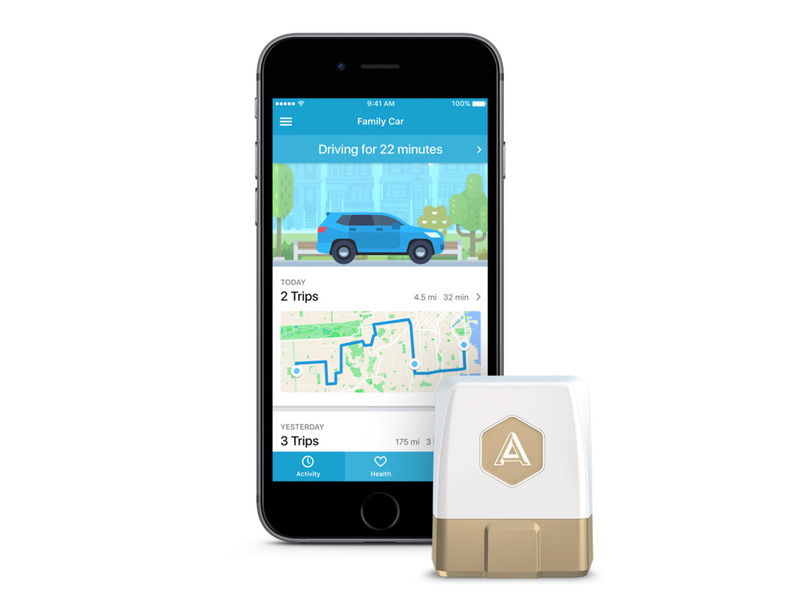 Automatic can even track driving mileage and compile travel expenses. There are two models available: The Automatic Lite, which sells for $80, and the $130 Pro, which has a 3G data module and adds emergency response in the event of an accident. The ONVocal OV headset lets you listen to your favorite tunes on the go, make calls, and interact with Alexa, Google Now or Siri. 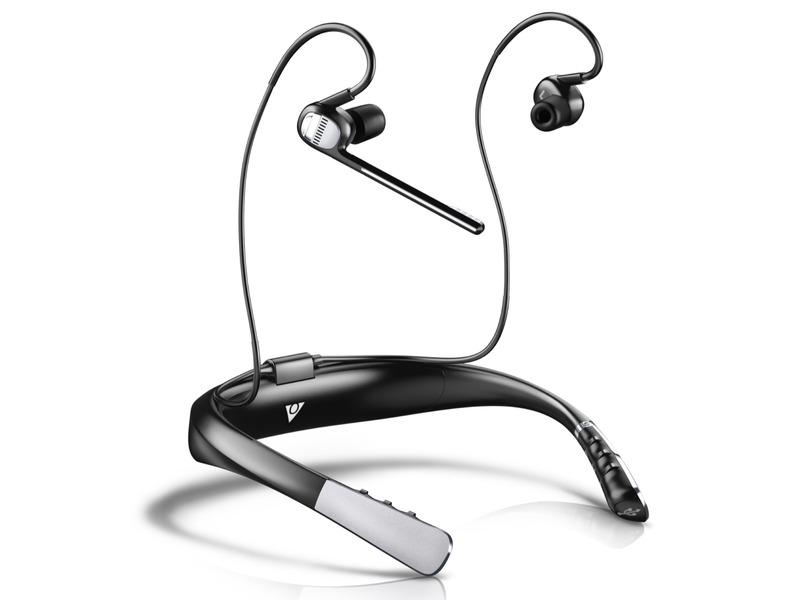 The OV operates via a metal collar that contains two wired earbuds. Lightly press the power button on the OV's collar to talk directly to Alexa with the headset's boom microphone. 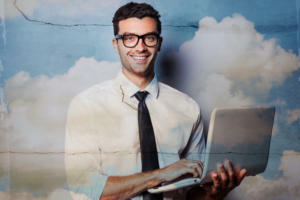 The question or command is routed through a Bluetooth connection to an app on your iPhone or Android device and on to Alexa's cloud home for processing and action. The 2.8-oz. device is powered by two 180mAh batteries; ONVocal promises a full eight-hour workday of use. While wearing it, you can choose to isolate yourself from the noisy world around you or, if you're nervous about crossing the street without hearing the traffic, you can have ONVocal's microphone bring in ambient sounds. You can chat via your smartphone, but if you want to get the message there fast and easily, nothing beats a walkie-talkie. By linking to your mobile phone via an iOS or Android app, Onyx's small, colorful walkie-talkie discs let friends and co-workers keep an open audio channel. The Onyx disc is two inches in diameter and weighs a little over an ounce; it's equipped with a speaker, a pair of microphones and five LEDs that can tell you whether it's turned on, whether the battery is getting low and if it's paired with your phone. 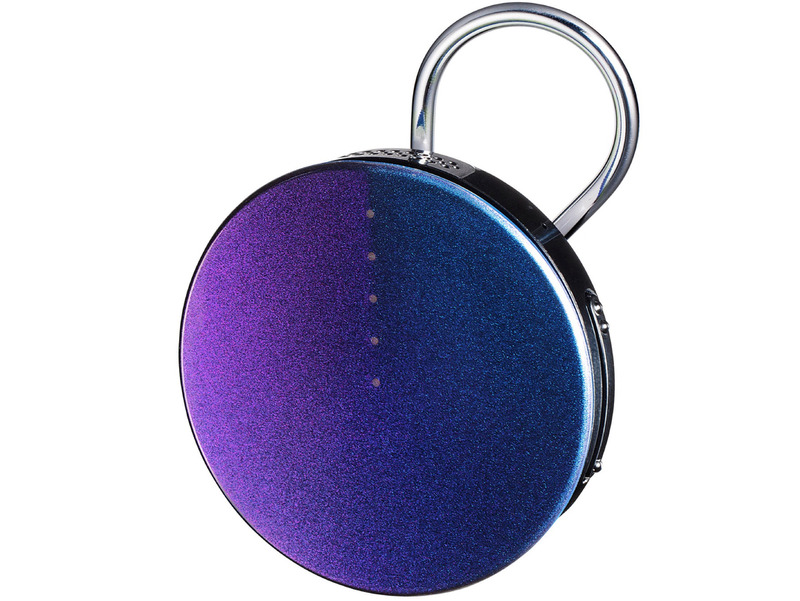 The discs are available in black, cobalt, silver or rose, and have a clip for attaching them to a shirt, shoulder strap or neck chain. Clip on your Onyx, press its button and you can immediate communicate with an individual (they come two in a pack) or a group of devices. Later this year, according to the company, a software update will allow each Onyx to interact directly with Alexa, so you can get the latest news or weather report without having to fish your phone out of your pocket. The Vobot calls itself "the world's first clock with Amazon Alexa." Whether that's true or not, it's certainly a handy gadget. The Vobot is directly linked to Amazon's Alexa servers so that, rather than issue an abrupt wake-up call, it can ease you into the day with your favorite wake-up tunes or news station. Want to stay in bed longer? Cover the screen with a hand or turn the clock over to silence its alarm. When you're finally awake, tap the device's top to ask Alexa for the current traffic situation or the time -- or, if you've got a home automation system, to turn the lights on. It can even be programmed to let you sleep late on a rainy weekend morning or wake you early for a bike ride if it's sunny. The cone-shaped black and gold alarm clock connects via Wi-Fi; its 320-element dot matrix screen can visually show you the time and weather. The Vobot Clock is currently in presale for $35; it is due to be available later this spring. Invoxia's Triby speaker lets you carry along both your tunes and Alexa. About the size of a paperback book and weighing 1.3 lbs., the mini boom box has a 2.9-in. e-paper display to show what you're listening to, the time or the weather. Its noise-canceling four-microphone array can hear your Alexa requests from across the room, even while playing music or a podcast. The device is equipped with Triby's 3D digital signal processor, a pair of 1.5-in. speakers and a central passive radiator. It also can be used as a VoIP intercom for communicating to others with Triby units. Triby has a magnetic back that can stick to a wall -- or you can grab its handle and take it to the office. It's available in gray, red, yellow or blue. 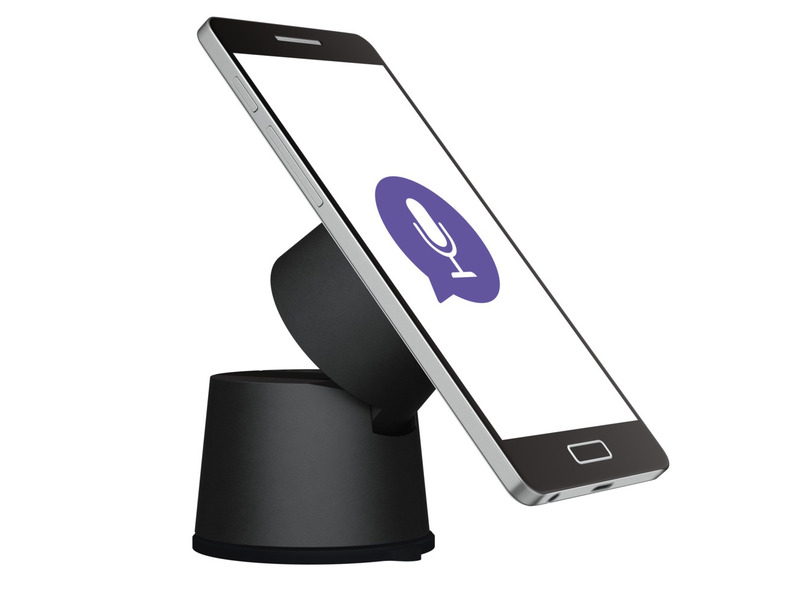 Logitech's ZeroTouch smartphone holder lets you take Alexa on the road. ZeroTouch comes in two models: One that snaps into the car's AC and heating vent louvers, and one that sits on a suction-cup base attached to the car's dashboard or windshield. A strong magnet holds your phone securely to the base. Just wave your hand near the phone's proximity sensor -- while hopefully keeping your eyes on the road and your other hand on the steering wheel -- to get Alexa's attention. After you hear the device's confirming chirp, you can use Alexa to request key travel items, like the weather forecast and where the traffic jams are; you can also ask it to reading your incoming texts, emails or appointments so you can concentrate on the road ahead. ZeroTouch is for Android phones only; sorry, iPhone users. Pricing starts at $60 for an air vent mount and $80 for a dashboard mount. They may share roughly the same size and shape, but Jam's Voice and the Fabriq are a pair of Alexa-enabled speakers that differ on the details. 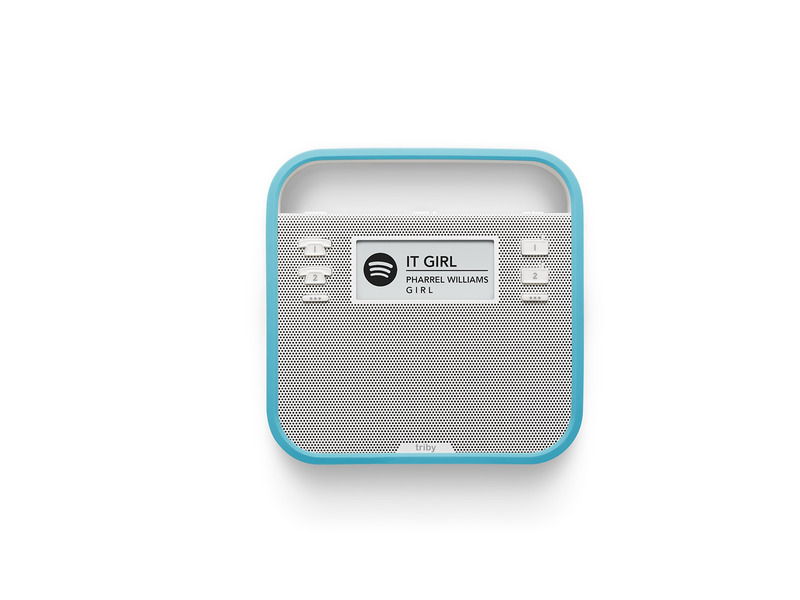 Each offers a button to wake up Alexa's online personality; Fabriq's is on the side while the Jam Voice's is on top. Both have 2-in. active speakers, but the Fabriq adds a passive radiator for richer audio. On the other hand, the Jam Voice uses two microphones to help you interact with Alexa while the Fabriq only has a single microphone, which might not be as good at picking up your voice from across the room or cutting through background noise. The Jam Voice comes in minimalist black or white; the Fabriq is more fashion forward with three eclectic fabric covers: Jack Plaid, Earl Grey and Splat (a Jackson Pollock-ish design). Whether you have a week's worth of fresh food or just some leftover lo mein, the 29-in. LCD display on LG Electronics' InstaView Door-in-Door refrigerator lets you peer inside without opening the door. Tap the gray glass twice and the interior lights go on, illuminating your food and giving you a front-row view of your food via a two-megapixel panoramic camera (which also lets you check your fridge while shopping via a mobile app). 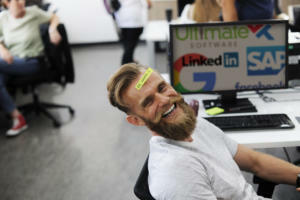 Other features include the ability to create to-do lists or get reminders when foods are near their expiration dates. But wait, there's more: The upcoming Smart InstaView refrigerator will also listen for Alexa commands. So if your hands are covered with flour and you've forgotten the next step in making chocolate cheesecake for tonight's party, you can ask Alexa to read from its library of Food Network recipes -- and then buy candles for the party at Amazon.com. 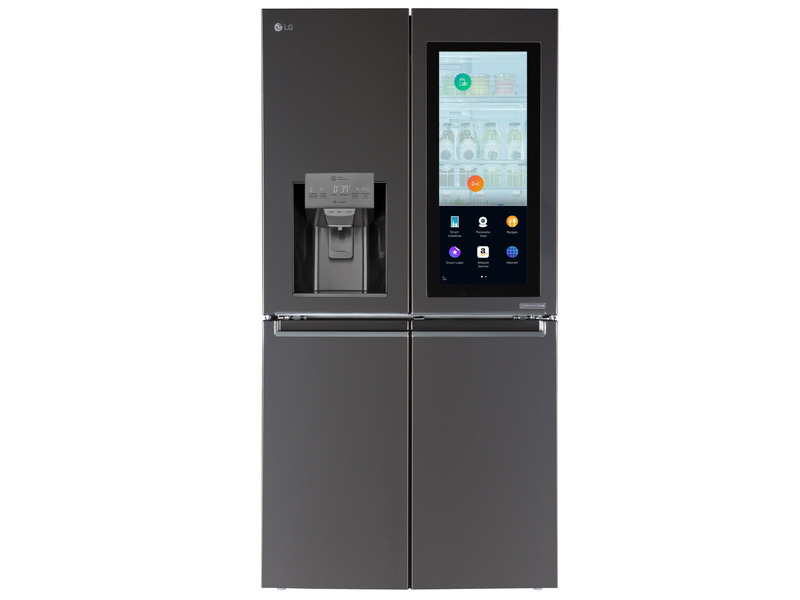 The LG Smart InstaView Refrigerator is due to be available sometime in the second half of 2017; the price has not yet been announced.